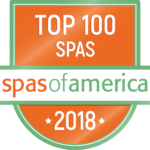 Healthy Living and Travel releases Spa’s of America Top 100 List and Spa Walden finds itself on that list! If you have not experienced what sets Spa Walden apart from many spas in America, please come and visit! In a world defined by anxiety, spas have become formulaic, and the luxuries of time and space have been forsaken. If you seek authentic self-renewal and rejuvenation, retreat to Spa Walden for a world-class experience. Schedule your visit here. Read the entire article and see the list from Spas of America here.